Google Web Spam expert Matt Cutts frequently gives clues on how the Google search engine works – essential for online marketers to know to help clients succeed. 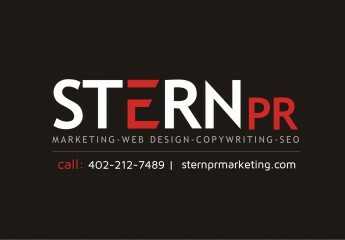 Stern PR Marketing™, an Omaha marketing firm, is committed to educating fellow Omaha internet marketers. To do so, we shall periodically transcribe Cutts’ comments. Facebook and Twitter pages are treated just like any other pages in our web index. So if something occurs on Twitter or occurs on Facebook, and we’re able to crawl it, then we can return that in our search results. But as far as doing special, specific work to sort of say, “Oh you have this many followers on Twitter or this many likes on Facebook,” to the best of my knowledge we don’t currently have signals like that in our web search ranking algorithms. Now let me talk a little bit about why not. We have to crawl the web in order to find pages on those two web properties and we’ve had at least one experience where we were blocked from crawling for about a month and a half. So the idea of doing a lot of special engineering work to try to extract some data from webpages when we might get blocked from being able to crawl those web pages in the future, is something where the engineer would be a little bit leery about doing that. It’s also tricky because Google crawls the web and as we crawl the web we are sampling at finite periods of time, we’re crawling and fetching a particular web page. So, if we’re fetching that particular web page that is set at one point in time, but something on that page could change, someone could change the relationship status, or someone could block a follower, and so it would be a little unfortunate if we tried to extract some data from the pages that we crawled and we later on found out that for example, a wife had blocked an abusive husband or something like that. And just because we happened to crawl at the exact moment when those two were linked, we start to return pages that we had crawled. So because we’re sampling an imperfect web, we have to worry a lot about identity when identity is already hard. And so unless we were able to get some way to solve that impasse where we had better information, that’s another reason why the engineers would be a little bit wary or a little bit leery of trying to extract data when that data might change and we wouldn’t know because we were only crawling the web. So I’m not saying not to use Twitter and Facebook, there’s a ton of people who get a ton of value from both Facebook and Twitter. I think that both of those services represent a fantastic avenue. It’s a way to drive visitors and traffic to your site. It’s a way to let people know about news related to you or your company or your website. I think they’re great ways to build up your personal brand. But don’t necessarily assume that just because there’s a signal on Facebook or Twitter that Google is able to access that. A lot of pages might be blocked, there might be no follow-on links, or something along those lines. It was funny because there was an SEO that said, okay we see a lot of links on Facebook and those are the pages that rank well, but that’s correlation, not causation. Instead, it’s probably because there’s something really awesome, then it gets a lot of likes on Facebook and a lot of people decide to link to it. The better content you make, the more people are to like it, in Google, Twitter and Facebook. One thing that I want to point out is that I think a multi-year, ten year kind of span, it’s clear to me that people are going to know more about who’s actually writing what on the web. It won’t be completely anonymous. There will hopefully still be options for people to post anonymously, but if Danny Sullivan posts something on a forum, I want to know about that, whether he posts on a well-known forum or a forum that nobody’s ever heard of. I think over ten years, we’re more likely to understand identity and to understand the social connections between people. At least for the time being, we have to deal with the web as it is and what we’re allowed to crawl and what we can easily extract from that and count on being able to access in the future. 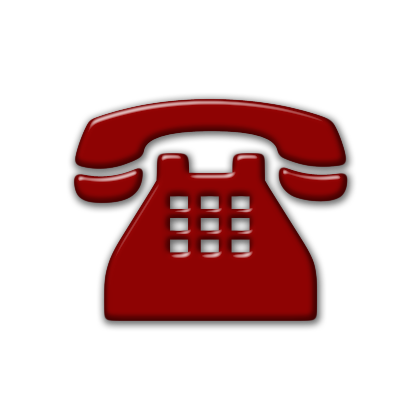 Contact Stern PR Marketing™ , a provider of search engine optimization services Omaha, Nebraska.